Mr. Thomas Williams, J.P., Gwaelodygarth, Merthyr, died at his residence at 8.30 o’clock on Thursday evening. Mr. Williams, who was one of the most notable figures in the political and religious life of South Wales, came home from Llandrindod, where he was spending a holiday, on the 19th of June in order to undergo an operation for a growth on the lip, and the operation was successfully performed by his medical attendant. Dr. Pearson Cresswell, assisted by Dr. Stuart Cresswell and Dr. Webster. The patient bore the ordeal satisfactorily, but in a few days there came a recurrence of an old internal trouble, which caused the gravest anxiety on account of Mr Williams’s advanced years and the consequent loss of recuperative power. Cn Tuesday the 30th of June, Dr. Reginald Harrison, a London specialist, who had seen the patient on the occasion of his last previous attack of a serious nature, was called in, but the eminent surgeon could do nothing more than what was being done by Dr. Pearson Cresswell and his son, and after staying the night returned next day to London. At times the patient showed signs of slight improvement, but these symptoms were merely transitory, and. getting gradually weaker. Mr. Williams passed peacefully away as stated. Mr. Williams was a Merthyr man, having been born in the capital of the iron and coal industries in the year 1825. Born of humble parentage, he received the rudiments of education in his native town, and when sixteen years of age was apprenticed to a local grocer. Eventually he removed to Hirwain where be, carried on business on his own account, and established a reputation as a fair and just shopkeeper. At Hirwain he remained for about eight years. A Congregationalist in religion, he became deacon at Nebo Chapel, which was the place of worship attended by his parents also. From Hirwain he removed to Trecynon, Aberdare, where he opened a large grocery business, and became one of the leading tradesmen of the town, his fame as a prosperous merchant reaching far and wide in Wales. His name was as well known in Cardiganshire and Carmarthenshire as in his native county, for he did much business with the carriers” who brought butter, cheese, eggs, and bacon from West Wales to the teeming population of the Works in those days. His stay at Trecynon continued for about twelve years, and during that time he was called upon to fill many local offices and was held in universal respect by his fellow-townsmen. Prospering exceedingly in the grocery trade, Mr. Williams judiciously laid out his surplus capital in various investments, chiefly- connected with the iron industry. 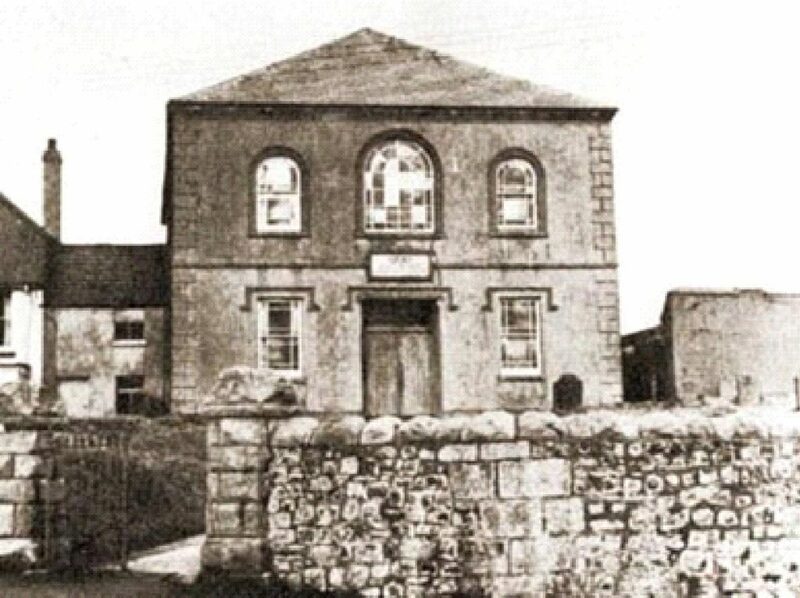 Eventually he disposed of his business at Trecynon and severing his connection with Aberdare, greatly to the regret of all he returned to his native town some time during 1852. Since then he lived at Merthyr, identifying himself with every good movement calculated to be of benefit to the town, and filling from time to time many offices of trust and responsibility. No man in Wales, probably, was connected in one way or another with so many public bodies, companies, and movements, either as chairman, office-bearer, or member. He was a director of the Great Western Colliery Company, chairman of the Pontypridd Building Society, and chairman of the Merthyr Tydfil Building Society. He was appointed on the commission of the peace in 1874, was chairman of the Merthyr School Board, and treasurer of the South Wales Congregational Association. Mr. Williams was an ardent Congregationalist. No layman in Wales, probably, did more for the sake of his denomination than he. Ever ready with his purse, he contributed cheerfully and liberally to every good cause connected with it, and otherwise furthered every movement, both by personal influence and on the platform. In proof of the great esteem in which lie was held by the denomination and as a mark of appreciation of his life-long services to the cause, it may be mentioned that Mr. Williams was in 1890, honoured, by being elected to the chair of the Welsh Congregational Union, the first layman who filled that office. Mr. Williams was also an ardent temperance reformer. Early in life, in fact, while a mere youth at Merthyr, he joined the temperance movements, and from 1839 to the day of his death kept his pledge faithfully. He was an alderman of the Glamorgan County Council, in which capacity he rendered excellent service to his native county in various ways. Genial and generous to a fault, he was highly respected by men of all social degrees and religious and political views. As a Liberal, he was a man of advanced opinions, uncompromising and consistent in all he did and said. Though, however, a stern Liberal himself, he freely admitted the right of others to think and act differently. By his death Merthyr Tydfil loses one of its most prominent and respected citizens, a man who did much to further the interests of the town, and was himself an embodiment of the spirit of enterprise and prosperity which has marked Merthyr Tydfil during the present century. Mr. Williams was probably the most prominent and Influential layman in the Congregational denomination in Wales, and his name as a liberal donor occurred in the lists of subscribers towards every causa and movement in that body for many years. He was treasurer of the Twentieth Century Fund, and on one occasion occupied the chair of the Congregational Union. He was a truly religious man, a man of devout feeling, to whom religious observances were as his daily meat and drink. In all probability, it was his religions and devout feeling that chiefly inspired him to set out some years ago on a visit to the Holy Land. He felt a longing to visit those scenes in the life of the Old Testament worthies, and, above all, of Christ himself, of which he had read in the sacred narrative a hundred times. The funeral of the late Mr. Thomas Williams, J.P., Gwaelodygarth, Merthyr, has been fixed to take place at Cefn Cemetery on Monday afternoon. The body will be brought from the house at three o’clock to Zoar Chapel, where a memorial service will be held, at the close of which the cortege will proceed direct to the place of burial. The obsequies are to be public, and luncheon and tea for those attending from a distance will be provided at Zoar vestry. It is stated that the amount of charitable bequests made by Mr. Williams is upwards of £20,000, and that the Merthyr General Hospital will, among numerous other institutions, benefit to the extent of £1,000.